All TAG companies perpetually strive for, and achieve, excellence and high- performance in every area of their business. Now, this blend of talent and expertise has been combined with the award-winning experience of Audiolab to create a company with a technical advantage and access to resources second-to-none in the high end audio industry -TAG McLaren Audio. to produce the best high- fidelity audio and audio-visual systems available. Now the first fruits of that alliance are ready – a unique new range of audio products. Throughout the F3 Series development process, quality, performance and reliability have been paramount, resulting in unparalleled performance, operational excellence and sheer listening pleasure. We are convinced it will give you many hours of listening pleasure. The 60I SL is a versatile integrated amplifier which acts as the command centre for your entire audio system. versatile input and recording selection The 60I SL has six selectable inputs and three outputs for recording. A separate signal path is provided for recording, with its own independent input selector, so you can record one piece of music while listening to another. low intermodulation distortion The theoretically-ideal amplifier reproduces sound perfectly over an infinite range of frequencies – starting from well below the audible range and extending far above the capabilities of human hearing. Although sound outside the human hearing range of approximately 20 to 20,000 Hz cannot be heard, it can significantly distort welcome the quality of music reproduction through an effect that audio engineers call 'intermodulation distortion'. This type of distortion moves imperfections that originate outside the hearing range back into the audible frequencies. 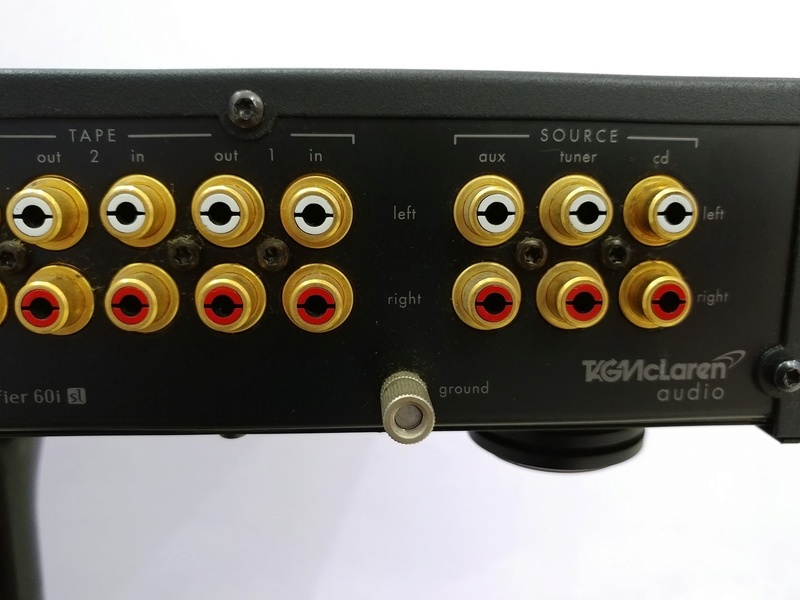 To minimise this effect, TAG McLaren Audio amplifiers have a frequency response which extends both above and below the range of normal human hearing. exceptional low-frequency response The 60I SL uses two different technologies to achieve fidelity at low frequencies. 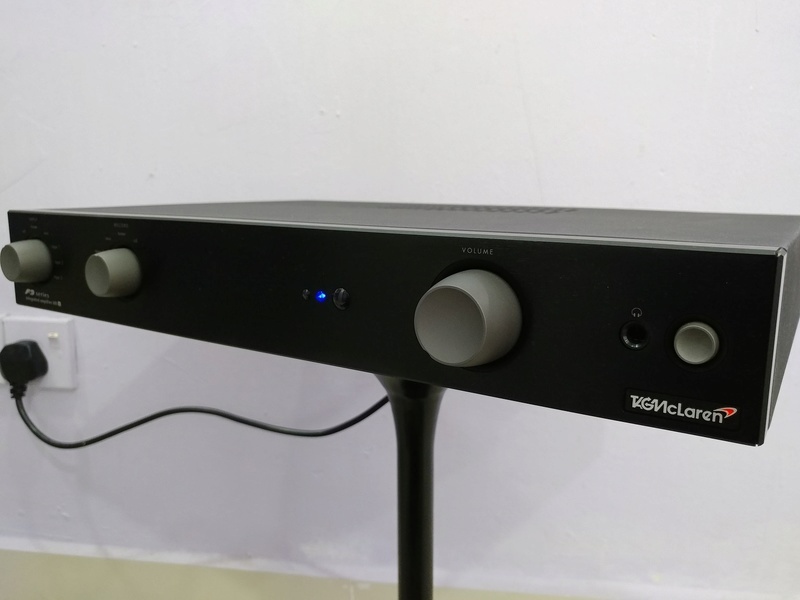 The preamplifier section uses capacitors to block the unacceptable Direct Current (DC) while allowing the desirable sound signals to pass through unimpeded. without compromising sound quality, accommodates the high- quality, low-distortion capacitors that must be used. straight line technology In the power amplifier section, a feedback circuit eliminates DC offset voltage and allows the signal path to be direct coupled without any capacitors. This arrangement, which we at TAG McLaren Audio call 'Straight Line Technology', is easy to describe but not easy to realise. The design has taken our expert engineers years to perfect. 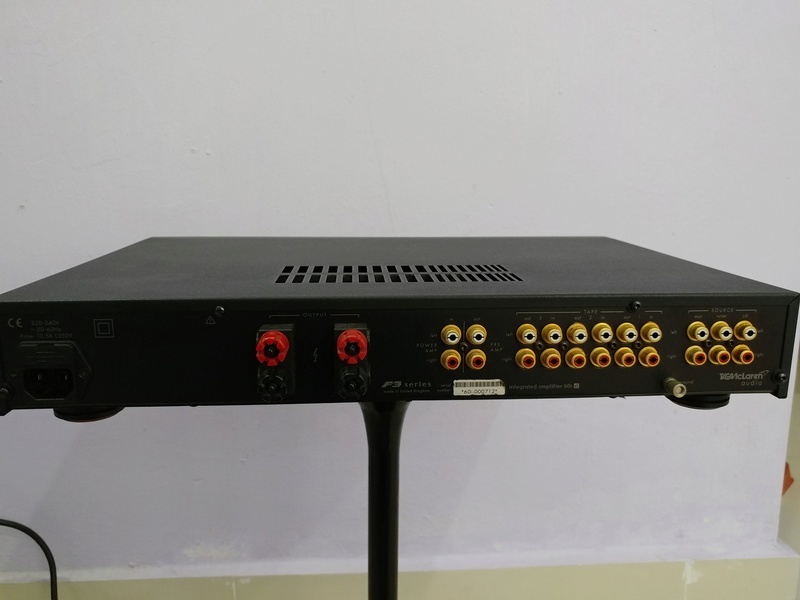 supersonic high-frequency response In order to reproduce high frequencies, the 60I SL is constructed using highly- rated, high-precision components. The circuit has been painstakingly designed to avoid any possibility of signals picking up interference and to minimise the effects of intermodulation. sophisticated muting The 60I SL has a sophisticated muting system, which stops you hearing loud, annoying switching noises and protects the amplifier and loudspeakers. 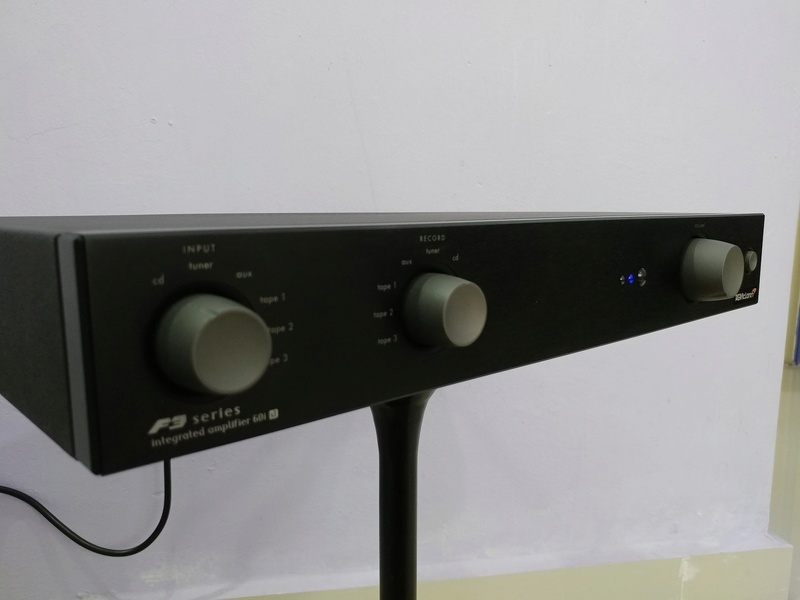 substantial power The 60I SLs power rating of 60 watts is very conservative, as the 60I SL can typically provide 72 watts into 8 ohm 115 watts into 4 ohm, and 150 watts into 2 ohm for a short period. Performance of this calibre is essential to drive even the least sensitive loudspeakers without distortion, and has been achieved through the use of a very large power supply (which accounts for the high weight of the 60I SL) and highly- specified output circuitry. The 60I SL is future-proof. 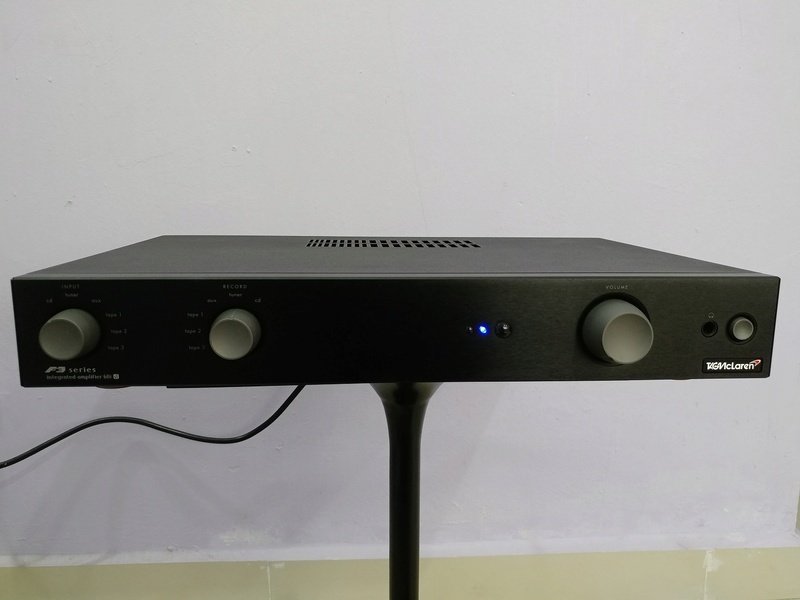 It is the perfect amplifier if you want to upgrade your audio system at a later stage. The 60I SL circuitry can easily be split into its separate preamplifier and power amplifier sections, allowing you to use higher-grade component units, such as our preamplifier PA20R or our stereo amplifier 100P. 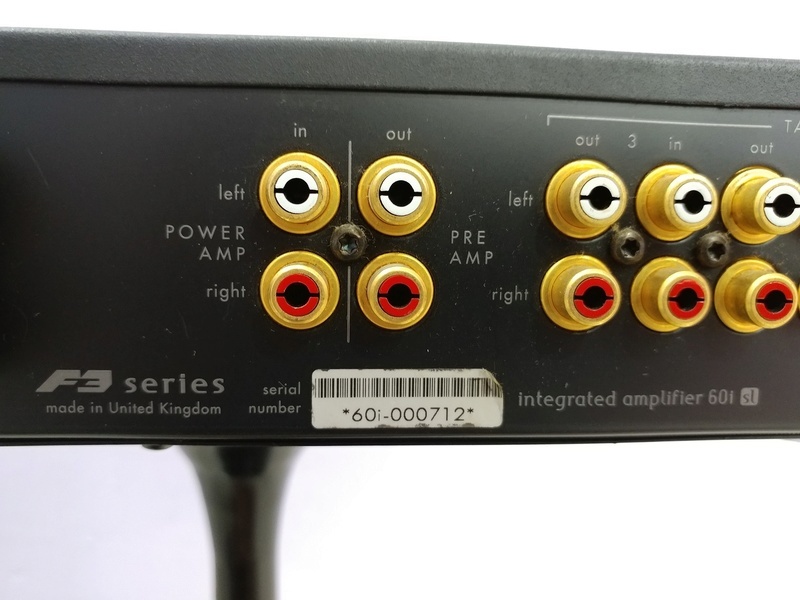 Even bi-amping, using an amplifier such as our 60P or 100P, becomes a straightforward upgrade. welcome The 60I SL combines the convenience of an integrated amplifier with the versatility to easily upgrade to separates at a later stage.